Lock in a great price for Panorama Hotel & Restaurant – rated 8.2 by recent guests! Ski-ing season visit. Friendly welcome. My bedroom was wood-panelled with a gorgeous Alpine smell of this wood when I walked through the door. Comfy beds, down pillows and duvets, I think. Bedroom windows are traditional for the style so it's more difficult to have a little bit of a window open for air during the night. Very good heating if you want it. In the basement is the ski-room where your skis/shoes/poles/helmet dry out overnight and are safe. After check-out you can leave your belongings at the hotel all day. Die Lage des Hotels ist super! Der Shuttle-Transport zur Gondelstation hat einwandfrei funktioniert, der Mann an der Reception war sehr freundlich und hilfsbereit. Hotel ist sauber! Die Lage ist super, mit Blick auf die Berge und Matterhorn im Hintergrund. Das Frühstück ist nicht üppig, aber vollkommen ausreichend. Die Betreiber und die Mitarbeiter sind supernett und das Essen im Restaurant sehr lecker. Wir waren schon mehrfach hier, es lohnt sich immer wieder. Sa situation, proche du téléphérique et vue dégagée pour les chambres qui en jouissent. Service und Empfang sehr herzlich und die Hilfsbereitschaft war super. Die Lage im Skigebiet ist einmalig und schlicht perfekt! Das Personal ist langjährig und man merkt, dass hier die Zusammenarbeit hervorragend funktioniert, Sonderwünsche werden immer, sofern möglich, erfüllt, Super! Die Betten sind nich zu weich und nicht zu hart, wir haben sehr gut geschlafen (Achtung: Der Körper braucht Anpassungszeit, man schläft hier auf 2'000m ü. Meer!). Ein sehr grosses Plus ist die sehr familiäre Atmosphäre, die Inhaber kümmern sich liebevoll um die Gäste. Die Küche ist gutbürgerlich, es gibt hier die vermutlich besten Kalbs-Cordon-Bleus. Auch das Frühstücksbuffet ist reichhaltig und lässt kaum einen Wunsch offen. Wir werden bestimmt wieder kommen. Panorama Hotel & Restaurant This rating is a reflection of how the property compares to the industry standard when it comes to price, facilities and services available. It's based on a self-evaluation by the property. Use this rating to help choose your stay! 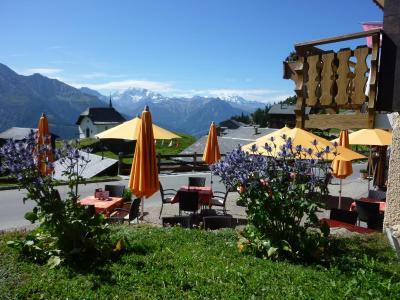 One of our top picks in Bettmeralp.This traditional 3-star hotel in the car-free village of Bettmeralp offers panoramic views of the Valais Alps and the Matterhorn. 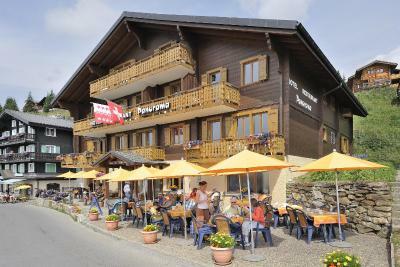 The Bettmeralp Cable Car is just 1,300 feet away. Furnished in a rustic Alpine style with bright wooden furniture, the rooms at Panorama Hotel & Restaurant feature satellite TV, a safe, and a bathroom with hairdryer. Free Wi-Fi is available in all rooms. 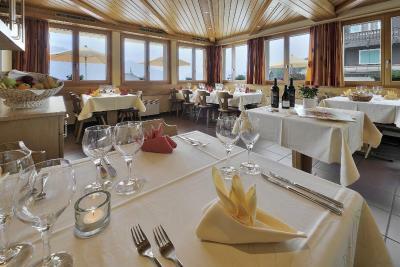 The restaurant serves traditional Swiss cuisine. 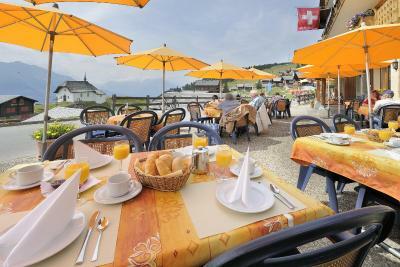 Guests can relax on the Panorama Hotel’s sun terrace. When would you like to stay at Panorama Hotel & Restaurant? This room has a bathroom and satellite TV. Please note that these rooms do not offer views. Spacious rooms with a balcony and a seating area. This unit consists of 2 separate bedrooms and a shared bathroom between the 2 rooms. House Rules Panorama Hotel & Restaurant takes special requests – add in the next step! Panorama Hotel &amp; Restaurant accepts these cards and reserves the right to temporarily hold an amount prior to arrival. Panorama Hotel & Restaurant accepts these cards and reserves the right to temporarily hold an amount prior to arrival. 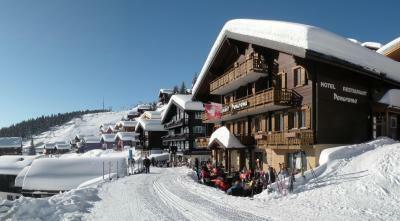 Bettmeralp is car-free. Indoor and outdoor parking is available at Betten Talstation. The hotel provides transfers on request. Ground floor room right next to a small road. Woken up quite early by loud noise of several snow groomers (PistenBully) on their way to prepare the ski slopes. Hotel can’t be held responsible for this but I would not want this room during ski season again. The breakfast is pleasant for a couple of days; I would have liked more choice over a longer stay (eg would be good to have nuts, dried fruits, more choice of fruit than the prepared fruit-salad). It is a breakfast that is bread-tastic, cereal-tastic, dairy-tastic, plus preserves, with some cheese and cold meat choices, or a boiled egg to order. It is a pleasant breakfast, nevertheless. Room and bathroom quite small. No elevator. We had to change to another room to spend our last night at the hotel. This was uncomfortable. It seems it was a mistake made by Booking.com. This situation should never happen. The hotel is well organized and distribution of space is also good. They could improve by adding a comfortable and beautiful lobby, harmonized colors across the hotel (instead of orange curtains and pink towels it could be in 1 color like white or beige).